I have problems, which are obvious if you've stumbled across my second attempt at painting a cassette game inlay. The first attempt resembled a reverse Dorian Gray scenario, and is similarly locked away from public view. Understandably, this book has not solved them all. What it does offer is clear, refined, advice for all abilities. 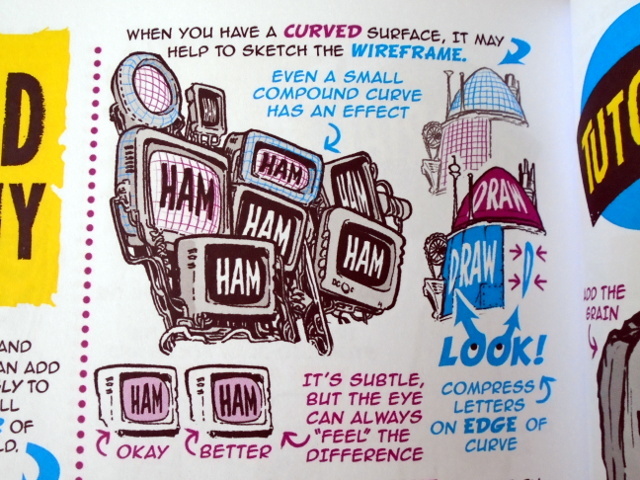 Fine details are overlaid with bold lines and key notes, so it's simple to grasp starting points for improvement. 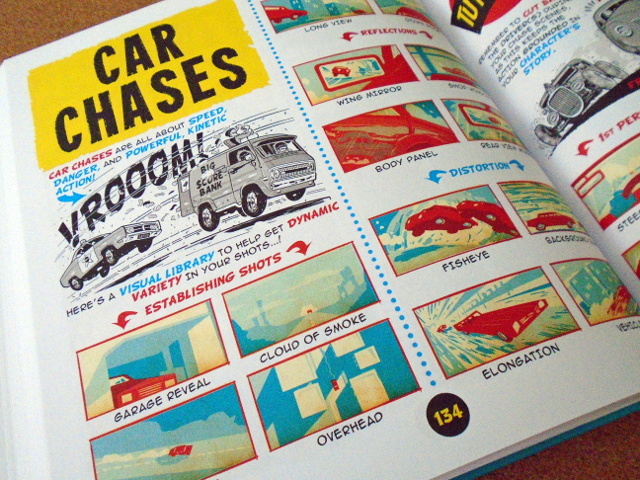 The problem is getting hold of a copy, now that the Kickstarter is over. Fortunately, the majority of this book is freely available online, and the tutorials keep on coming. In fact, they sometimes get lost amongst other activity, because the Etherington Brothers seem physically incapable of not writing and drawing. Trust me. Having seen them in action, even the sugar tax couldn't stop them. 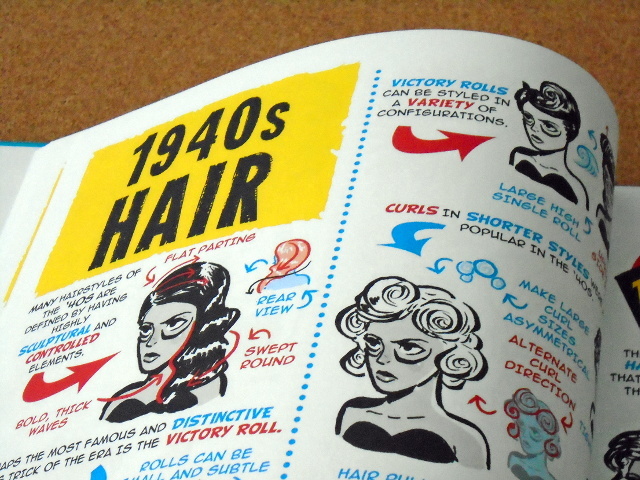 I have no pressing need to draw 1940s hair, nor vintage space bikes. Yet such eclectic tutorials maintain the approach which unifies superficial anarchy; breaking subjects down into their basic forms. This book is a little disconcerting at first, because it's designed to be flicked through until something grabs the attention. Which doesn't feel like learning, until the mind starts making subliminal connections between smoke, fabric, and entertainingly impractical hairstyles for bike chases. 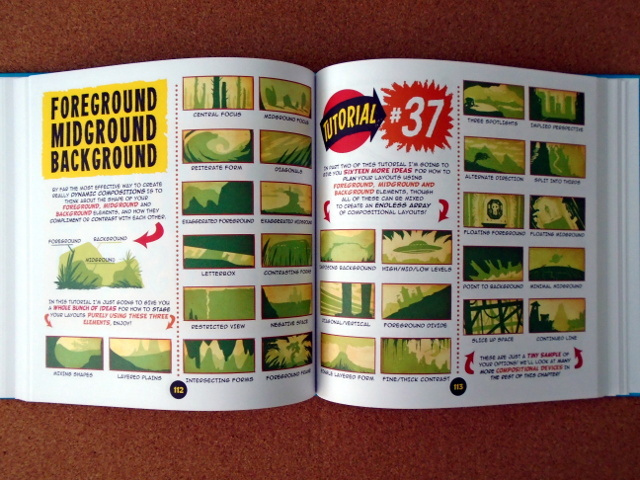 Each of the 67 tutorials are neatly confined to a double-page spread, some followed by bonus spreads with further examples. 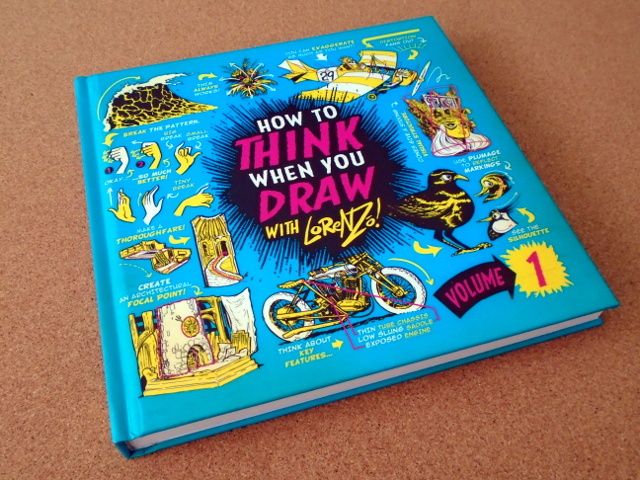 This is a sturdy hardback, perfect for leaving open as reference, and far easier on the eyes than a computer screen. It was signed, sealed, delivered for £20, which seems practically cost price for the quality. Curiously, I almost missed out, despite subscribing to The Phoenix. Which I still recommended, because even though the book section seems an encroaching waste of drawing space, it's suitable for children, and unreformed children who get the other jokes. Also, Jamie Smart, because Looshkin on a good week makes the end times look passé. Anyway, these tutorials have been appearing on the back page of The Phoenix, yet there was no hint of the Kickstarter. Which was a big success, so there's no danger of the tutorials drying up, but perhaps visibility is a problem. Much like the comic itself, which is an outlier on shelves otherwise overflowing with mags in tat-filled bags. The tutorials include more abstract concepts such as forms, texture, and negative space. My brush with formal tuition in such matters tended towards the traumatic, but here, their purpose as unpretentious tools is made clear. I'm currently working with monochrome pixels and rigidly low resolutions, but the little hints and tricks are so elementally refined that most transfer across just fine. I'm not especially interested in the character sections, but the composition tutorials have been invaluable. Most characters appear slightly loose, unfussy, with more focus on expression than rendering. The more geometric sections have an appealing tightness, though are presented as a chocolate box of choices, rather than The Way To Do Things. Besides, there's probably more structure elsewhere than I'm aware of, and making further discoveries as skills improve is part of the fun in learning. 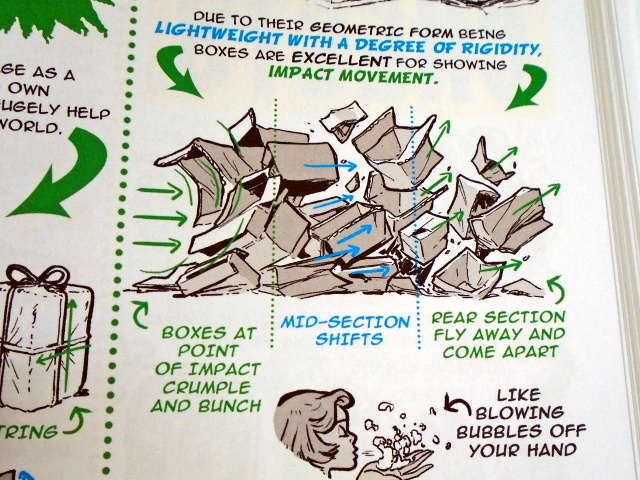 I'm also drawn more to the movement of things than people, and can't fault how complex physical interactions are simplified to bubbles, ribbons, and duvets. It seems so casual, but demonstrates teaching skills as finely honed as drawing skills. So, try some tutorials for yourself, then clamour for a reprint if necessary.